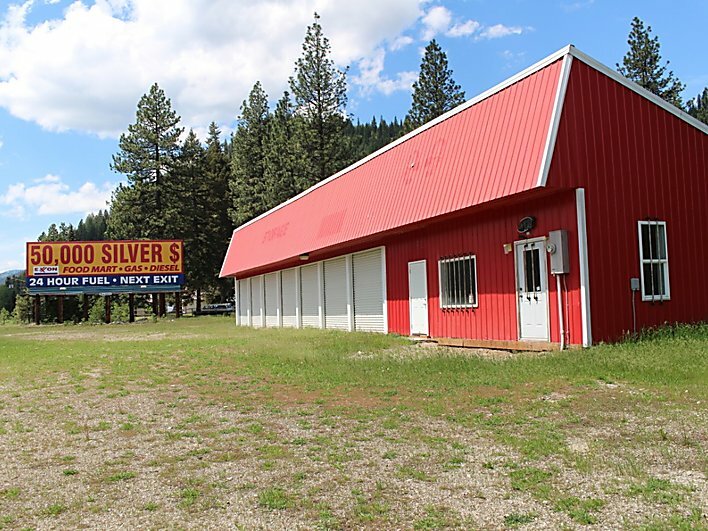 Commercial building with great I-90 exposure for sale in De Borgia, Montana! The property is located in between highway exits on one of the busiest entrance routes into the state of Montana. Only 15 minutes from Look-out Pass Ski area and the Hiawatha bike trail. This Western Montana lot is located in the heart of recreational paradise. Here you have access to ATV and snowmobile country leaving you with over 1000 miles of groomed trails to ride. There are two permitted highway advertising signs on the land which make for easy yet noticeable advertising! The acreage has many potential uses. In the past it has been used as a storage unit! The land already has a well, septic and power ready to go! Near the St. Regis River, Deer Creek, Twin Creek, the Lolo National Forest, Lolo Hot Springs, Flathead Lake, Flathead National Forest and, McGee Creek! Don't pass this opportunity to own your own business and live in this friendly Western Montana town. Contact Judy Stang for your private showing today at 406-822-2316. Priced at $185,000.